Once again I'm dusting off the blog to share my love for a book and an author that is in my auto-buy list! 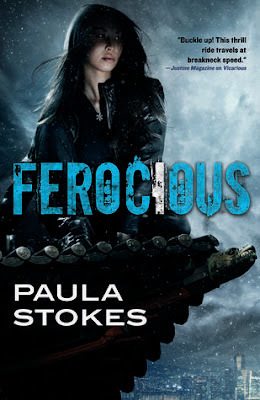 Last year I shared the playlist for the first book in this duology, and now I'm back to share the playlist for Ferocious by Paula Stokes, the second & final book of the Vicarious duology! I'm a big bad of reading books with the playlist that either inspired the writing or that was chosen by the author because it's what fits best the moments in the book! So today we have Paula here to tell us a bit more about the songs she chose for Ferocious! I have created a Spotify playlist that you can check out in the link below or check the YouTube videos below! I’m starting off with this awesome tune because I think it would make the best background for a trailer. It’s got the perfect mix of music to encapsulate both action and romance scenes and does a good job of putting the reader in the right mood for Ferocious. I always include a song I imagine playing before the “book movie” actually starts, which in this case is the Gazzo remix of Centuries. I like the remix because it’s slower and because some of the electronic parts give the song a bit of an Asian feel. This song also encapsulates Winter’s state of mind as she embarks upon a mission of vengeance that she’s not expecting to survive. The book starts right where Vicarious ends, with Winter making a choice to take the MetroLink train toward the airport, to seek revenge against the man she knows is responsible for her sister’s death. She’s very upset because of things that have happened with Gideon, and this song captures the rage and despair she’s feeling as the story begins. Later the same day, Winter goes to a hotel room where she plays a ViSE recording from Gideon. It gives her needed information but also calls forth a lot of memories. Her emotions overwhelm her for a bit, and I thought immediately of this haunting, emotional song. Later in the hotel room, Winter pulls out her throwing knives and starts practicing with them, throwing them at her mattress, over and over until she starts to feel calm again. This song captures all of the anger and helplessness she’s feeling in that scene. When Winter gets to Los Angeles to search for her brother, one of the first things she does is, well, kill a man. Like the man she killed at the end of Vicarious, Winter doesn’t feel particularly guilty about this death, and this lack of remorse causes her to wonder if she’s some kind of monster. One of the first things Winter and Jesse do in Seoul in go to Namdaemun Market for supplies. While they’re shopping, Winter sees a girl she thinks is spying on them and she chases this girl down the streets of Seoul. Mama is a fast-paced fun song that feels like it would work with a chase scene. Also, you should click this link just to watch the rather incredible animated beginning to this K-Pop video. In Seoul, Sebastian “Baz” Faber helps Winter with her plans to track down her brother and infiltrate UsuMed. One of those plans involves the two of them riding a motorcycle through the darkened streets of Seoul. This upbeat tune feels like the perfect complement to that scene. Halfway through the book Baz forces Winter to confront just how serious her mental illness really is. Overwhelmed by what she learns, she flees to the rooftop of the building and considers jumping. After all, can someone like her even be fixed? Can she ever really live a normal life? Winter isn’t sure, but Jesse comes to find her and talks her literally down from her ledge. Winter and Jesse don’t get a lot of time for romance in this book because she’s dealing with more serious issues and emotions. But there’s one night when Winter decides to take Jesse someplace special in the city. There, for a couple of hours, they forget about danger and revenge and just embrace each other’s company. I hear this song when they’re looking at the love locks and playing in the snow. Near the end of the book, Winter is literally staring down the barrel of a gun, knowing that she can shoot someone, but if she does then she’ll probably die too. It’s a struggle for her and she goes through several different emotions during this moment, all of which are captured by this song. Winter and Jesse eventually end up on Jeju Island. They’re staying in a hotel waiting for things to calm down after what happened at UsuMed before trying to return to the U.S. Winter is also doing a lot of thinking—about herself and her illness and her feelings for Jesse, trying to decide if she can reconcile all of those things or if she’s going to have to let Jesse go. The last song on my playlist is always the song I imagine playing as the credits to my “book movie” are rolling. I picked this song because it encompasses Winter’s frame of mind throughout the novel, and also because it’s more uplifting than the rest of the playlist, hinting that happier things are ahead for the main characters. I hope you enjoyed my FEROCIOUS playlist :) Wanna check out the one I made for VICARIOUS? Click here. Are you totally new to this series? I’m giving away a VICARIOUS paperback (INT) on Twitter from 8/29 to 8/31. <3 nbsp="" p="">Paula Stokes returns to the world of Vicarious in this sequel, a high-action psychological thriller with a protagonist out for vengeance. Paula Stokes is a mental health nurse and the author of several novels, most recently Ferocious and This is How it Happened. Her writing has been translated into eleven foreign languages. 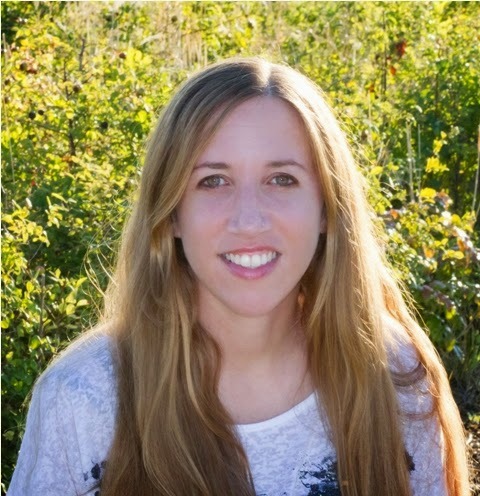 Paula loves kayaking, hiking, reading, and seeking out new adventures in faraway lands. She also loves interacting with readers.